3. You can be happy for no reason at all, and peace can be experienced in spite of whatever seems to be going on. Explore the freedom of being able to choose the way that you feel. 4. Appreciate all moments before they become memories! 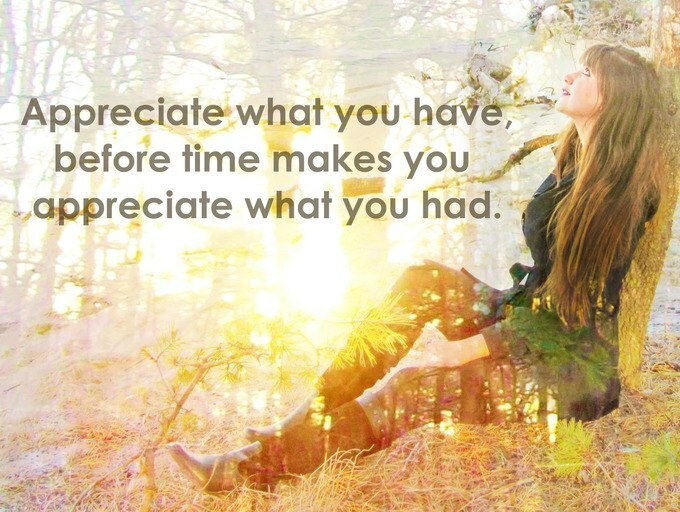 What do you Appreciate Today?